RecFish SA makes submissions on matters concerning the recreational fishing community. We regularly conduct community consultation on important issues and our documents are also informed by thorough research and expert analysis. Review the documents and correspondence linked below. The towns of Wallaroo, Moonta, Pt Hughes and Port Victoria benefit substantially from recreational fishing visitation and associated tourism spending, with travel, accommodation and hospitality expenditure amounting to major components of recreational fisher spending. 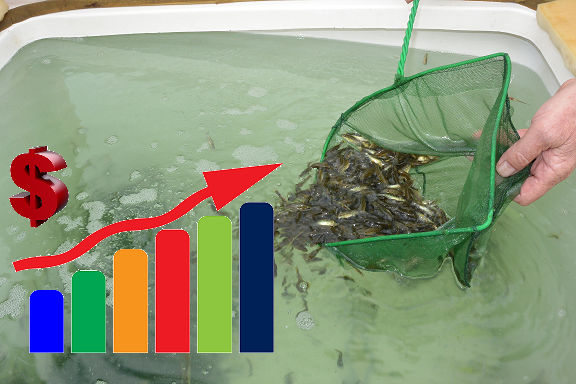 RecFish SA want to ensure that any changes to aquaculture zoning do no compromise the realisation of the social benefits experienced by fishers or the economic benefits of related expenditure in regional communities. 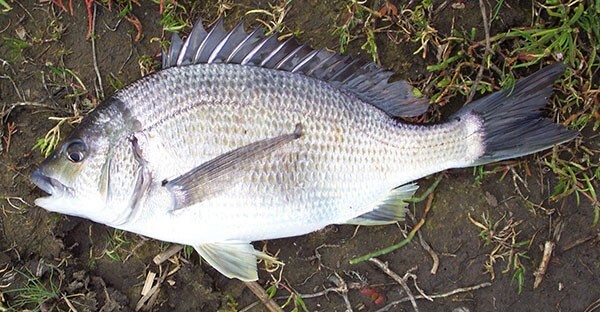 During 2016 PIRSA Fisheries were consulting on a series of proposed changes to recreational fishing rules. RecFish SA attended community meetings accross the state, and we ran a number of online/ electronic consultation campaigns. 1550 individual recreational fishers completed our 44 question survey. 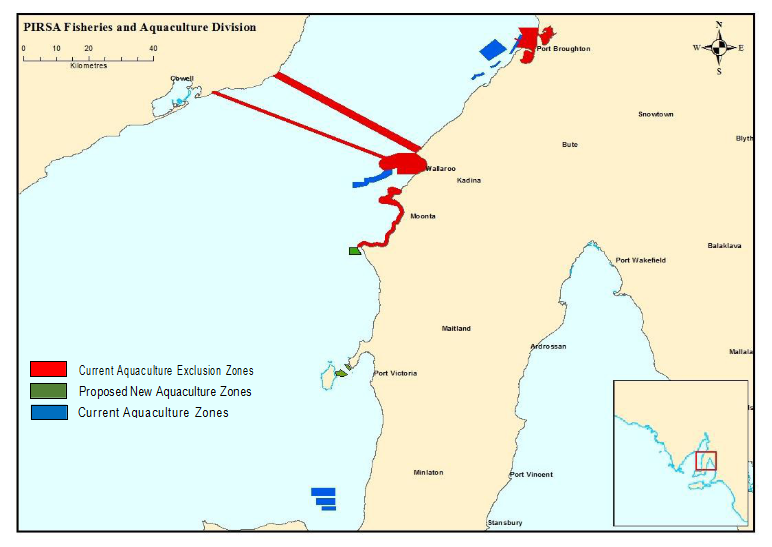 We recieved detailed submissions from our network of Recreational Fisheries Committees located on the Lower Eyre Peninsula, Upper Spencer Gulf, West Coast and Adelaide. We also recieved submissions from fishing clubs, associations and groups based in the South East and the Yorke Peninsula. 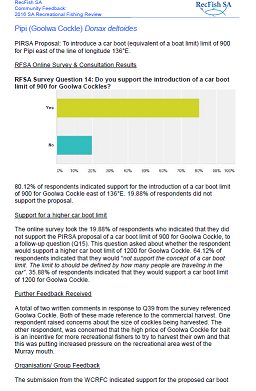 Our final sumbission to PIRSA was structured to reflect the feedback we recieved and was also informed by analysis of the relevant, available fishieres research. In our submission we cover a range of important issues, none more so than the need for data to be collected on the economic and social value of recreational fishing. We highlight this issue as a top priority for future research for our sector and explain that it is essential to be collecting this data regularly, using a standard methodology. The collection of such information is critical if we wish to be able to measure the success of management decisions and in order to compare results over time/ across state borders.